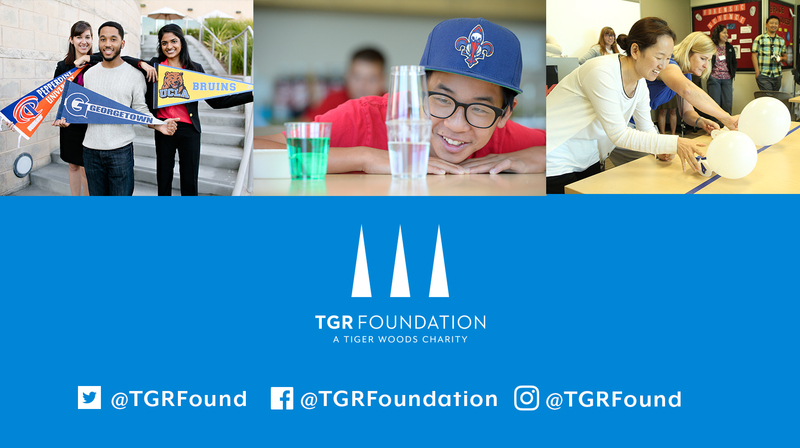 The Earl Woods Scholar Program was created to honor Tiger’s father, Earl, and his lifelong commitment to children. Scholarships are awarded to academically successful, graduating high school seniors who have demonstrated financial need and a proven commitment to community service. Our support doesn’t stop at graduation; we provide career counseling and preparation for our college graduates. One common theme they all share: an inherent desire to give back to their communities and make the world a better place. Sign-up today to receive updates on the latest news, educational programming, announcements, events and more! I give my consent to receive email communications from TGR Foundation.